""Ravishing, dazzling, sumptuous. Such terms are not excessive when applied to the touring production of THE KING AND I."" So wrote the Seattle Times when the current U.S. National Tour of THE KING AND I visited there in June. Launched in Minneapolis in April, the National Tour of THE KING AND I stars Hayley Mills, who created the role of Anna Leonowens in this version's first incarnation in Australia six years ago. Since that time, the production travelled 10,000 miles to Broadway, where it currently stars Faith Prince and Kevin Gray. 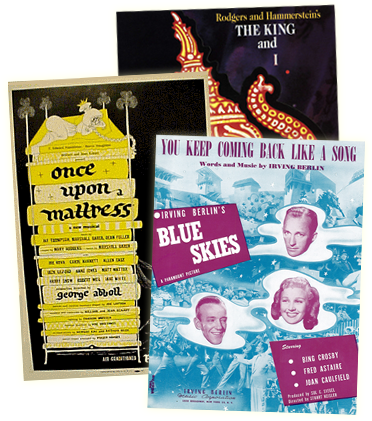 When John Frost, the adventurous Australian producer, first proposed Hayley Mills as Mrs. Anna for his 1991 production of THE KING AND I, some of us were dumbfounded. Pollyanna? ""Let's get together, yeah, yeah, yeah?"" Wow, she was great, but she was a teenager. But then so were we. She had been a far larger part of our childhoods than we might have cared to admit. So let's get serious - Hayley Mills as Mrs. Anna? Isn't Mrs. Anna a teacher, and isn't Hayley the perpetual student? And come to think of it, in so many of her films she personified the American can-do spirit. Was she really English? Well, the first indication we had that Hayley's Mrs. Anna would work came when photographs arrived from Sydney. It was clearly Hayley in those large frocks - with her characteristic smile and curls on either side of her forehead. She looked - well, gorgeous. Maybe there were a couple of lines on the face, but have you looked in a mirror lately? Tom Briggs was the first one of us to venture Down Under. Word filtered back that Hayley was nervous - an 'official' representative of Rodgers & Hammerstein was coming all the way from America. Oh, God! Well, suffice it to say that Tom and Hayley ended the opening night festivities in Adelaide dancing 'til dawn at a local bar. Next down was Mary Rodgers - and she was absolutely charmed. Then it was my turn - to Melbourne on New Year's Day 1992. (See Happy Talk, Vol. 3, No. 3). Visiting from England were Hayley's parents - Sir John and Lady Mills. Ah, I thought, here was a clue about Hayley - she is actually from one of Britain's theatrical royal families. Sir John and Lady Mills were completely delightful, and acted like proud parents seeing their daughter in the school play. ""She's really rather marvelous in the part!"" Sir John told me in the theater bar before that evening's performance. And he was right. I had actually snuck into the theater half-way through a matinee performance on the day of the official opening, so my first view of Hayley was Act II, Scene 2, when Mrs. Anna meets Lun Tha and Tuptim outside the palace wall. She positively shimmered in Roger Kirk's gold ball gown. She emanated extraordinary warmth as she wished the young lovers ""God bless you both!"" as they ran off. She gazed after them sorrowfully and sang the reprise to ""Hello, Young Lovers."" I knew: Pollyanna no more. Flash forward to spring 1997. We're in a studio in New York on the first day of rehearsal for the U.S. tour. American theatrical know-how and a few Tony Awards later, this is essentially the same production that toured Australia. And once again, Hayley is Mrs. Anna. She is a little nervous - she has never actually performed live theater in this country before. And when you see her up close, she's rather petite and shy. But she is introduced to the company, and cheers greet her. Many of the small children rush over and ask for her autograph. She is their teacher, after all. And to this generation, she will be Hayley Mills, Mrs. Anna Leonowens. So, folks, Pollyanna is taking the country by storm. She is a total theater pro, and a delightful choice to play Mrs. Anna. And OK, I have a crush on her too. THE KING AND I is currently playing at the Neil Simon Theatre, New York, and on tour, where upcoming visits include Boston, Cleveland, Atlanta, St. Louis, Denver, Tulsa, and Philadelphia. For further information, visit the KING AND I section of the new website for Dodger Endemol Productions at www.dodger.com. ""Ravishing, dazzling, sumptuous. Such terms are not excessive when applied to the touring production of THE KING AND I."" So wrote the Seattle Times when the current U.S. National Tour of THE KING AND I visited there in June. Launched in Minneapolis in April, the National Tour of THE KING AND I stars Hayley Mills, who created the role of Anna Leonowens in this version's first incarnation in Australia six years ago. Since that time, the production travelled 10,000 miles to Broadway, where it currently stars Faith Prince and Kevin Gray. THE KING AND I is currently playing at the Neil Simon Theatre, New York, and on tour, where upcoming visits include Boston, Cleveland, Atlanta, St. Louis, Denver, Tulsa, and Philadelphia. For further information, visit the KING AND I section of the new website for Dodger Endemol Productions at www.dodger.com."